The meeting, chaired by Chief Minister Pinarayi Vijayan, assessed the situation and decided to go ahead with the counter campaign. 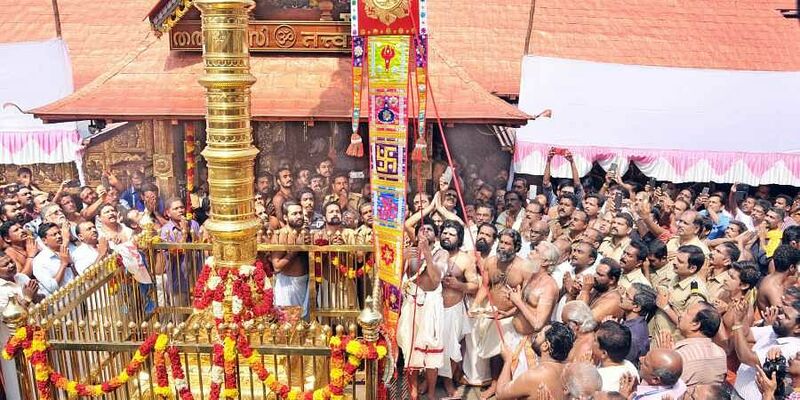 THIRUVANANTHAPURAM: Under the cover of the Supreme Court verdict in the Sabarimala case, the UDF and BJP are trying to unseat the state government, alleged the LDF, adding it will organise political explanatory meetings to counter the campaign against the government across the state from October 16. Briefing the media about decisions taken by the LDF meeting on Thursday, LDF convener A Vijayaraghavan warned that the UDF supporting the BJP-Sangh Parivar forces against the state government could prove to be a dangerous move in the current national political scenario. The meeting, chaired by Chief Minister Pinarayi Vijayan, assessed the situation and decided to go ahead with the counter campaign. “The state government is bound to implement the SC order. The previous governments, too, have implemented various court orders in the issue. Now, the agitations by the BJP-RSS and the UDF are aimed at sabotaging the government. People are being taken to the streets in the name of faith,” said Vijayaraghavan. He said the UDF and BJP are trying to mislead people because they are worried about the government’s mass support. “All those taking part in the agitations need not have understood the real issues. Hence, the campaign is to let them know the real scenario,” he said. He maintained that there’s no climbdown from the LDF’s earlier stance on the women’s entry issue. “We have made our stance clear. And the SC has issued the verdict. The political explanatory meetings will focus on the LDF stance in the wake of the SC verdict,” he said. The LDF will organise political explanatory meetings from October 16 to 30. The CM will attend the meetings in Thiruvananthapuram (October 16), Pathanamthitta (October 23) and Kollam (October 24). Ministers and Left leaders will address the meetings in other districts. District-level meetings will be held to counter the anti-government campaign. A series of measures, including family meetings, distribution of brochures explaining the LDF stance and the SC verdict, will also be organised. Public Works Minister G Sudhakaran on Thursday said the Sabarimala protesters lacked public support. “The protesters are those who don’t even have the support of a dog. Of the protesters, only the Nair Service Society (NSS) has some support. Only 10 per cent of the BJP voters have hit the streets in protest. This shows there is no support from within the party,” said Sudhakaran. He criticised the royal family by stating the members of the royal family were only seen in situations like this. “The Congress party who integrated princely states into the Indian Union is now supporting them. The stand of the state government is equal right and freedom to women. The Sabarimala issue will not dent the LDF’s prospects,” he said.